Canonical Space to Screen Space: Why do we have the strange -0.5? 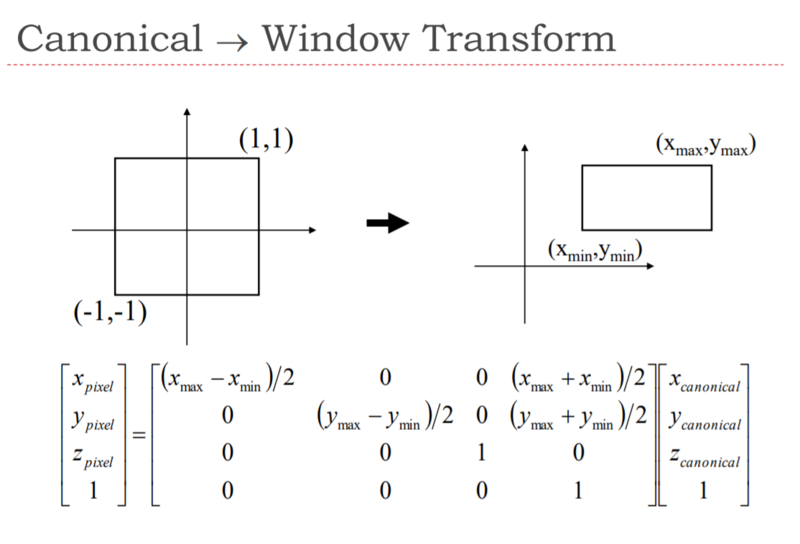 What is the reason behind choosing a screen that has (xmin, ymin) = (0.5, 0.5) and (xmax, ymax) = (1920 - 0.5, 1080 - 0.5) where (nx, ny) = (1920, 1080)? I can't really answer this without the context so post some links where this is done. Here x,y are the what your picture says xmin, ymin and width, height is xmax, ymax. Now there is no specific reason I can think of why you would wanna do a shift of -0.5 but the viewport allows us to draw to a specific portion of the screen. Which is the same as what is done in the picture you posted. Hope it helped somewhat. EDIT:- 0.5 offset is commonly used to get to the pixel center. See this image as an example. Here the pixel 3,5 has the center 3.5, 5.5. This is the 0.5 offset you are seeing. I was confused at first when you were talking about an offset of negative 0.5. Not the answer you're looking for? Browse other questions tagged transformations or ask your own question. 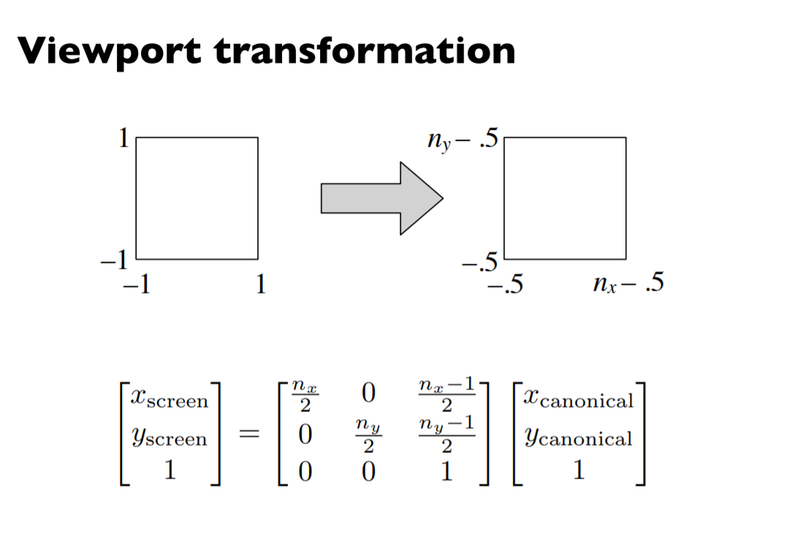 What is the correct order of transformations scale, rotate and translate and why?